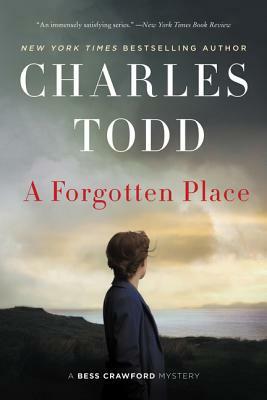 Charles Todd is the New York Times bestselling author of the Inspector Ian Rutledge mysteries, the Bess Crawford mysteries, and two stand-alone novels. Among the honors accorded to the Ian Rutledge mysteries are the Barry Award and nominations for the Independent Mystery Booksellers Association’s Dilys Award, the Edgar and Anthony Awards in the U.S., and the John Creasey Award in the UK. A mother-and-son writing team, they live on the East Coast. The novel has a distinctly gothic feel to it: remote locale, harsh landscape, stormy weather, mysterious villagers—and the sense that something truly evil is hiding, perhaps in plain sight. Followers of the Crawford series will find much to like here.